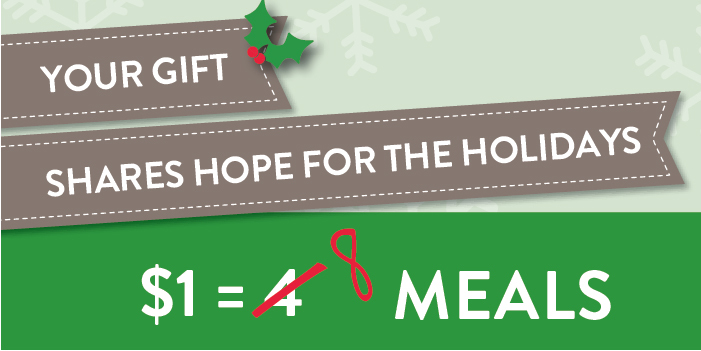 Your gift provides more meals this holiday season thanks to a matching challenge from the Beaumont Foundation and Texas Jacobson Aviation. Will you join us during this special season of sharing to ensure that Central Texans facing hunger can access the nutritious food they need to thrive? When you take advantage of this special match opportunity, every dollar you give will be DOUBLED. 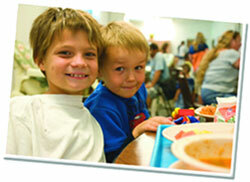 Your support makes make a real difference for families, children and seniors in our community. Thank you for sharing Hope for the Holidays!